Where does your pink salt lamp come from? Despite the name, there are actually no salt mines in the Himalayan mountain range. The pink salt slabs actually come from the Khewra Salt Mine in Pakistan, roughly 300 miles west of the Himalayas. As the second largest salt mine in the world, people have been gathering this commodity for more than 2,000 years. Only in the last decade or so has it become popular in Western culture. The salt is comprised of 95 percent sodium chloride (table salt). The rest is a mix of polyhalite and other minerals, which give the salt its characteristic pink hue. Help those with rhinitis, C.O.P.D., asthma, allergies, anxiety, depression, insomnia, seasonal affective disorder (SAD) and cystic fibrosis. Wow! At an easy $30 for a 9-inch lamp, that’s not a bad deal for something beautiful and beneficial. But is there scientific support to back up these claims? Let’s analyze the evidence. Manufacturers say pink salt lamps provide a plethora of negative ions, neutralizing “harmful” positive ions in the air, like those from electronic devices, TVs and cell phones. Here’s how it works: salt naturally attracts water and absorbs moisture in the air, called hygroscopy. Then, the heating of the lamp causes the water to evaporate, producing negative ions. These negative ions are supposed to counterbalance the positive ions in your indoor environment (i.e., offset electromagnetic radiation from your microwave). However, at this time, there’s zero scientific evidence to say that the amount of negative ions produced by a pink salt lamp is enough to get the job done. Bummer. Verdict: False. During the process of heating up the pink salt lamp, negative ions are created. However, it is not enough to neutralize positive ions. In nature, perhaps you’ve experienced the joy of negative ions without knowing it, while standing near a waterfall, ocean waves or outside after a large thunderstorm. The air near water contains thousands upon thousands of negative ions, helping you feel refreshed and euphoric. And the mental boost is not just your imagination. There’s scientific support to say that negative ions produce lower feelings of depression. Researchers conducted a meta-analysis of 33 studies between 1957 and 2012 evaluating the effects of air ionization on mood. While there were no consistent ionization effects for anxiety and sleep, there were positive effects on depression and seasonal affective disorder. Researchers found that patients with seasonal depression showed results at even low-level ionization. As well, patients with chronic depression showed improvements at high-intensity ionization. That’s great news! Now the question is, do pink salt lamps produce enough negative ions to provide mental health benefits? It’s hard to say. So far, there’s been no scientific evidence proving this theory specifically, but there’s loads of anecdotal evidence saying otherwise. Verdict: Quite possibly true. The amount of negative ions produced by a pink salt lamp is nowhere near the amount produced in nature. In fact, it would take decades to produce the same amount of negative ions found near natural sources of water. However, researchers do say that even low levels of negative ions can improve seasonal depression. 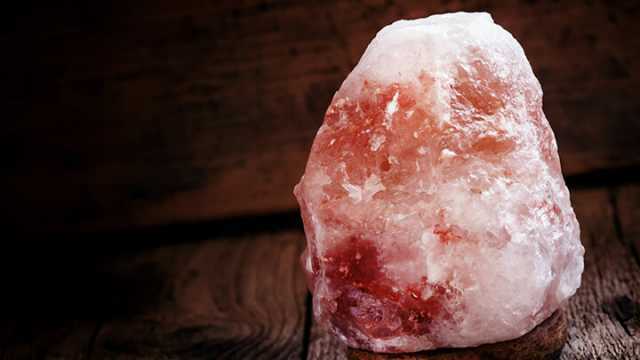 One of the biggest claims about pink salt lamps is that they purify the air. Consumers say they clear sinuses, improve asthma and reduce allergies — sometimes overnight. But is this magic or marketing? It’s true that the salt of the lamp naturally attracts water. And water vapor can carry mold, bacteria and allergens. However, there’s no scientific evidence to say that the lamps absorb the pollutants in the air along with the water. In other words, you may just be drying out the air — not purifying it. And negative ions might not be improving respiratory function either. Despite the fact that there’s 80 years of scientific speculation on the topic, there’s no conclusive evidence. Researchers analyzed 23 studies with subjects who had everything from asthma to emphysema. They found that exposure to negative or positive ions had no measurable role on respiratory function. Verdict: Science says no. However, there’s plenty of anecdotal evidence supporting this claim, even if the research isn’t as clear-cut. Again, there’s no scientific evidence stating that a pink salt lamp directly helps with sleep, but it’s possible that the absence of bright light does play a role. 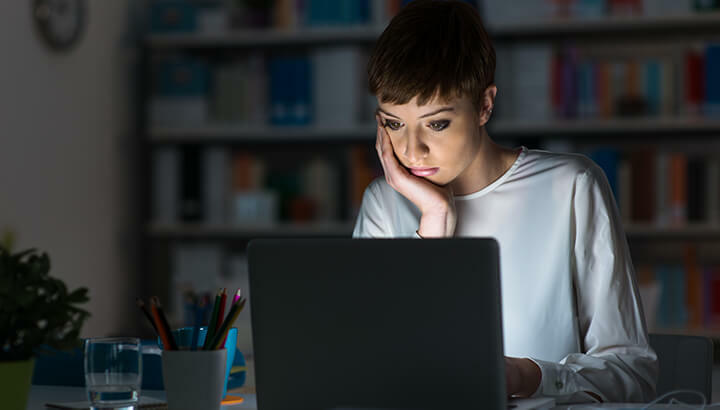 Researchers have found that exposure to blue light after dark — such as from electronic screens — is harmful to our health. It can interrupt the body’s natural sleep cycle and melatonin production, the chemical that signals your brain that it’s time to sleep. Experts at Harvard Health recommend that you stay away from blue light for three hours before trying to sleep. Fortunately, the dim orange light emitted from a pink salt lamp is not known to interrupt melatonin production. It also provides a soothing ambiance that could promote rest and relaxation. Perhaps this is why people say they’ve never slept better. Pink salt lamp manufacturers often claim that color therapy plays a role. It’s a stretch, but it may be possible. In one example, researchers found that a “passive pink” room helped to calm manic and psychotic juveniles in a detention center. “The children tend to relax, stop yelling and banging, and often fall asleep within 10 minutes,” said Paul Boccumini, the director of clinical services for the department. However, scientists remain skeptical about color therapy. Verdict: No direct scientific evidence, but users say it’s absolutely true. Perhaps it’s because there’s no blue-light emission or melatonin interruption. Try it for yourself to find out if you sleep better. Like most of the other claims, there’s no scientific evidence to support this idea. So why is there so much compelling anecdotal evidence to the contrary? It’s a bit of a loose argument, but you could say that with better sleep comes everything else — better breathing, less stress, and lowered rates of depression and anxiety. As a result of all these other things, of course, you’ll have more energy. Verdict: According to science, false. However, if salt lamps are giving you more energy, perhaps it could be the placebo effect, a very real and well-documented scientific phenomenon. And hey, whatever works! Despite the lack of scientific evidence on the health benefits, I’m going to keep my pink Himalayan salt lamp around. I love the way it looks and the calm ambiance it adds to my space. Plus, there’s no denying the thousands of testimonials that exist. Perhaps it’s a good time to remember that not everything can be measured scientifically just yet and that intention is important. Only you know what works for you! If nothing else, enjoy the peaceful glow and see what happens. Previous articleIs Cannabis The Next Superfood? Hey Buddy!, I found this information for you: "Are Pink Himalayan Salt Lamps A Hoax?". Here is the website link: https://www.thealternativedaily.com/himalayan-pink-salt-lamp-hoax/. Thank you.